In a Nutshell: Sub-Saharan Africa is home to one-tenth of the world’s population, but people there account for more than 70% of the world’s HIV/AIDS cases. Over 2 million of those infected are children. Grammy Award-winning singer Alicia Keys partnered with Leigh Blake in 2003 to create the nonprofit Keep a Child Alive to provide help to people in Africa and India so they could access medicine that would keep them alive and from needlessly dying. To date, the foundation has raised tens of millions in donations to fund community-based programs that keep children, women, and families living with and affected by HIV in clinical care and support vulnerable children. Celebrities have a massive amount of power at their disposal. Their choices can cause shifts in consumer markets, changing trends in style, language, and lifestyle. Many A-list celebrities use their power to create charities that fund causes close to their hearts with the support of their fans and admirers. While some of these charities do great work, others are poorly managed and funded, and fail to succeed as the founder intended. Some, though, transcend good and bad, and become a genuine movement that brings about change. has 15 Grammy Awards on her mantle, but possibly one of her biggest source of professional pride is the work she’s done to place her Keep a Child Alive nonprofit charity in the public consciousness. Co-founded in 2003 by Keys and Leigh Blake, Keep a Child Alive aims to realize the end of AIDS for children and families by combating the physical, social, and economic impacts of HIV in four countries in Africa and India. Those drugs, which cost $12,000 a year through the New York University AIDS Research Department, were eventually funded through donations from Blake and her friends, including Keys. The foundation raises awareness about the 26 million people who have been already died from AIDS in Sub-Saharan Africa alone, and the millions more who are threatened and orphaned by the disease. More than 1.9 million children under the age of 15 in the region are currently living with the disease. 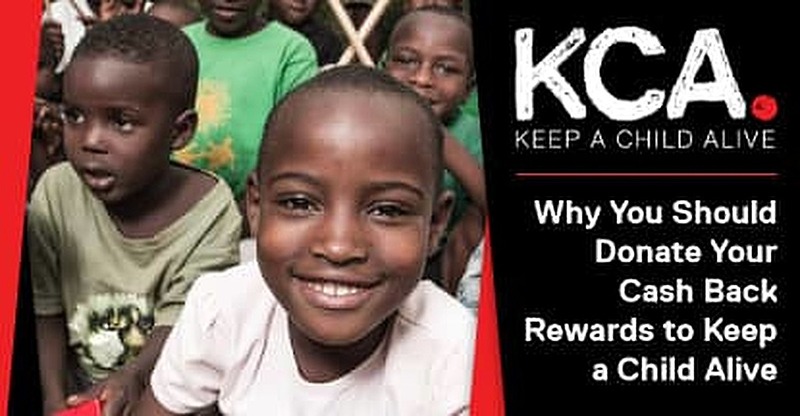 We’re highlighting Keep a Child Alive’s work as part of our series on ways consumers can donate their credit card rewards and receive tax advantages while helping a worthy cause. Keys’ connection to the charity gives it a much wider megaphone to amplify its message. Keep a Child Alive aims to realize the end of HIV/AIDS for children and families in Africa and India. Mendelsohn said the charity’s ability to raise millions for HIV/AIDS care and support since 2003 stems from its connection to two worlds that are separate, but equally sincere in their intentions. Mendelsohn said Keep a Child Alive’s efforts overseas extend way beyond fundraising. “We’ve learned that the people living with HIV need support to take their daily medication as prescribed so they can be as healthy as possible,” he said. “One of the main barriers to treatment is that people are afraid to tell other people that they are infected. We work in communities to make people understand that HIV is manageable and controllable and doesn’t have to be a death sentence,” Mendelsohn said. Although Keys, Blake, and Keep a Child Alive have raised millions in donations to help fight the spread of HIV/AIDS around the globe, Mendelsohn stressed there is still much work to be done. Sub-Saharan Africa contains one-tenth of the world’s population but is home to almost 70% of all people living with HIV. Since Keep a Child Alive was founded in 2003, the availability of life-changing medications has increased more than eightfold. Keep a Child Alive has a dedicated website for accepting donations in any amount.